No police officer was shot. 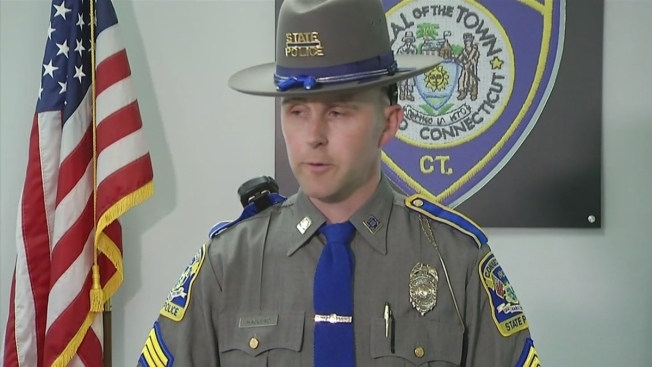 Connecticut State Police have identified the suspect shot and killed by a Suffield police officer after an interaction during a motor vehicle stop on Thursday, according to state police. The suspect has been identified as Thomas Gezotis, 57, of West Springfield, Mass. The incident took place near East Street around 12:30 p.m. Thursday. The officer fired at least one round, striking the man. The man was taken to the hospital, where he was pronounced dead. Suffield police initially said officers in the area responded to the report of a stolen car, but state police would not speculate on what led to the incident. The officer involved in the incident was not injured, but was taken to the hospital to be evaluated. The State Police Central District Major Crimes unit has taken over the investigation. The name of the officer involved has not been released.